British stand-up comedian and writer. 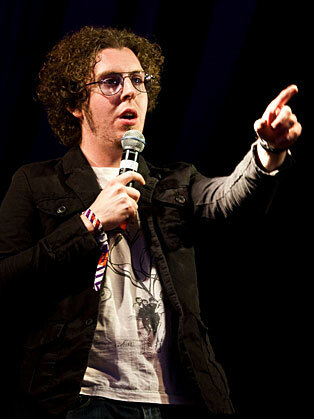 Carl is a stand up comedian who describes his style as “silly comedy,” and has appeared in a number of television sows including Mock the Week and Grouchy Young Men. Carl Donnelly began his stand up career in 2004 and in 2006 he made his debut at the Edinburgh Fringe Festival in a three-man show called “The Good, The Bad, and The Cuddly”. Since then he has been on shows such as Mock the Week, Russell Howards Good News, Radio 4’s 28 Acts in 28 Minutes and Grouchy Young Men. Carl also records a popular podcast with fellow comedian Chris Martin. Critics see that Carl’s stardom is on the rise as he continues to delve into the trials and tribulations of surviving as a suburban man in his late twenties.